Apples contain heaps of antioxidants. Antioxidants are disease-fighting compounds that prevent and repair oxidative damage in your body. This, in turn, promotes healthy cell activity in your body and helps it keep harmful health risks at bay. Eating an apple a day helps you maintain your cholesterol levels. Apples contain soluble fibers, such as pectin, that bind with fat in the intestine that in turn helps to lower cholesterol levels, keeping heart diseases at bay. Recent studies have shown eating apples can curb all sorts of cancers. The consumption of apples containing flavonol, a chemical compound, reduces the risks of pancreatic cancer by up to 23%. Apples contain a variety of other chemical compounds, such as triterpenoids, which found in the peels, that helps curb the growth of cancerous cells in the liver, colon and other parts of the body. Apples contain fiber which takes a relatively longer time to digest, hence your stomach remains full for longer. This helps reduce hunger pangs and cravings. Apples contain a variety of vitamins, minerals and antioxidants that help your body fight off multiple diseases and boost your immune system. An antioxidant called quercetin helps boost and fortify your immune system, especially when your body is stressed out and cannot keep up with all the chemical reactions, thus preventing you from getting ill.
Apples are rich in fiber that acts as roughage for your intestine which in turn helps your system battle constipation. The fiber in apples can either help to pull water out of your colon to help things moving in your intestine or absorb excess water from your stool to help your bowels slow down. 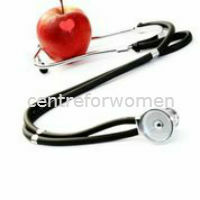 Eating an apple a day can help keep heart health issues at bay. As mentioned earlier, apples help reduce cholesterol levels in your arteries. Compounds found in apples prevent cholesterol from building up inside your system and clogging your arteries. This keeps the plaque from gathering inside your arteries. Excess plaque can block up your arteries and increase the risk of heart disease.